Epping Forest District Museum was one of the Museums selected to receive funding and be part of the SHARE Museums East Community Cabinet project. The ‘Community Cabinet’ is an invitation to members of the public and community groups to curate a single, dedicated cabinet with objects of their own choice. Objects may come from their own lives and ‘collections’ or from the museum’s vast array of objects. Epping Forest District Museum’s community cabinet will be displayed in Epping Civic Offices while the Museum is closed for a Heritage Lottery Fund redevelopment. 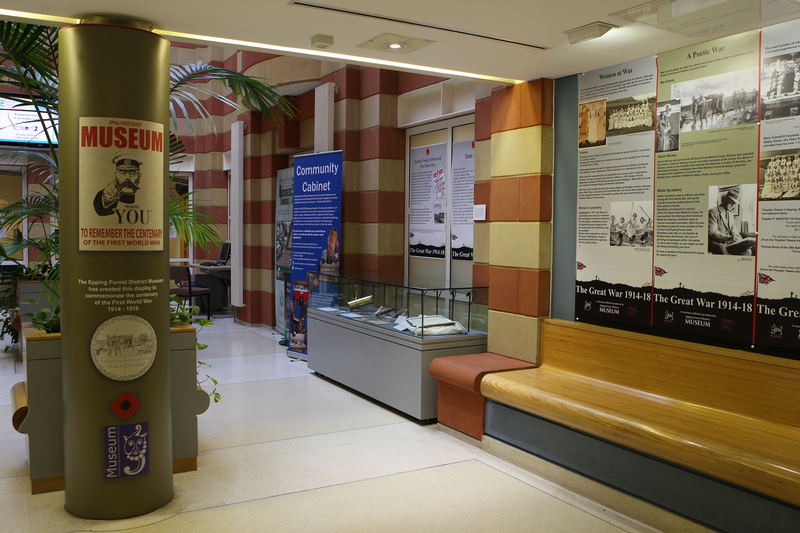 Once the Museum reopens the dedicated community cabinet will feature within the newly redisplayed museum and we will have a series of exhibitions throughout the year. 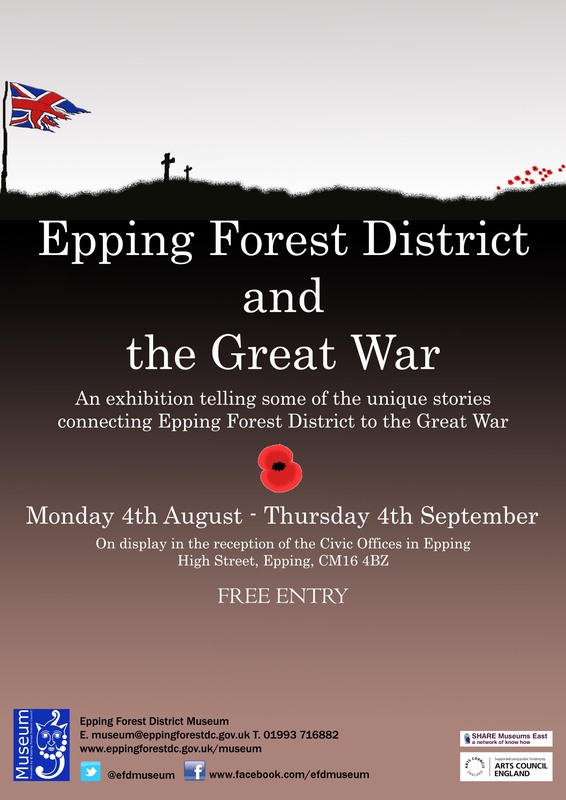 Our first project was working to help document the links between Epping Forest District and World War One. As part of the project the team have been going out and about into the district, holding Heritage Events in various venues to allow people to share their stories with us. The objects have been recorded and stories documented and these records will become part of the Museum’s collection. 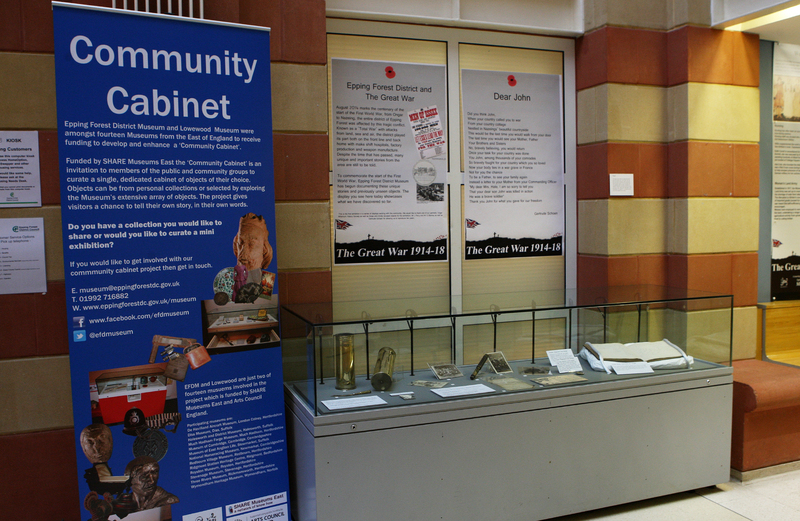 The objects and stories discovered have now come together as the museum’s first community cabinet display. 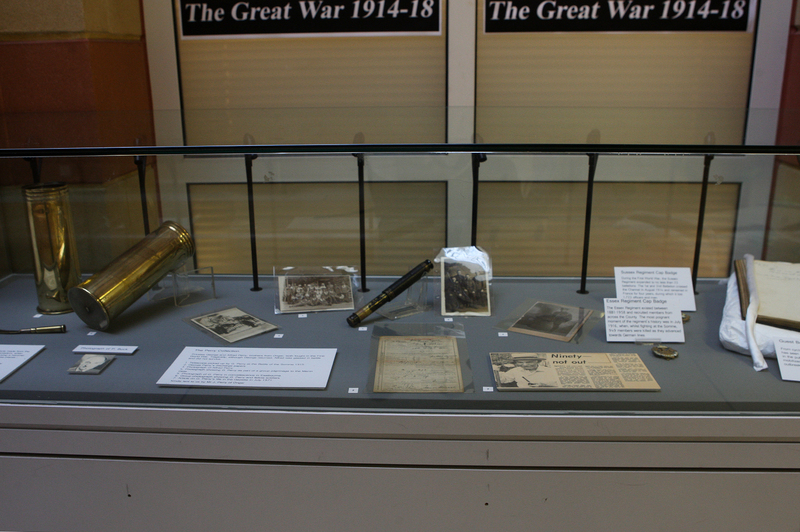 These unique and unheard stories feature in a free temporary exhibition at the Civic Offices in Epping High Street from 4th August to 4th September 2014. 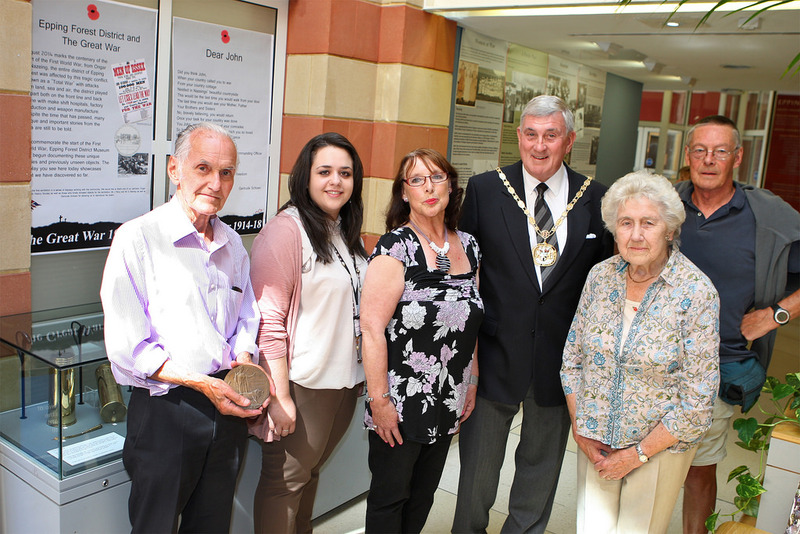 The exhibition was opened on Monday 4th August by the Chairman of the Council, Tony Boyce, who also met invited guests who had loaned objects to be part of the display.